52 ANCESTORS in 52 WEEKS, #31: Mary FERNALD, Kittery. Following the challenge of writing 52 Ancestors in 52 Weeks, issued by Amy Johnson Crow , here is my 31st installment, Mary FERNALD, continuing my research on early settlers, particularly the women - and finding so much still to do! Mary is my 5th great-grandmother in my mother's lines. Mary was one of 8 children of James FERNALD and Mary HINCKS, b. 14 May 1712. The FERNALD families were early Kittery ME settlers. James' father was the original immigrant, arriving about 1632. I have no information at present about Mary HINCKS' family, other than her birthplace as New Castle NH in abt 1680. As there is a 6 year gap from 1746-1752, one might suspect John was away on various skirmishes, or they had one or more infants who died young. Both John Jr, and younger brother Joseph, were commissioned officers in the navy, fighting against the British in the Revolutionary War. Unfortunately, as happened much more often than now, Mary died soon after Mary Adams, her 7th child, was born in 1752. I have not found records of a gravestone/cemetery, which means I need to do more research. Her husband, John, died about 1787 in Kittery, so I ought to be able to find his grave, but so far, I haven't been able to do so. John Adams is rather a common name and after wading through hundreds of names, I still haven't seen 'my' man. So once more, we have a 1700s ancestor, a woman who is known only by her parents, her marriage, her children, her untimely death - recorded, but no stone. If you have further information about Mary or the Fernald/Adams families, I would be very pleased to hear from you via calewis at telus dot net, or in the Comments section below. Ditto if you have corrections to my information. Thanks for stopping by. This is the only photo which has my maternal grandmother, her two brothers, her mother, and her Terwilliger grandparents all in one photo. There are two additional women in this photo who may not be related. By elimination, I can assume that my grandmother's father "Grove" is the one taking this photo. Wish I knew more. And I look at the three photos on the back wall with sad eyes, wondering where on earth they ended up! 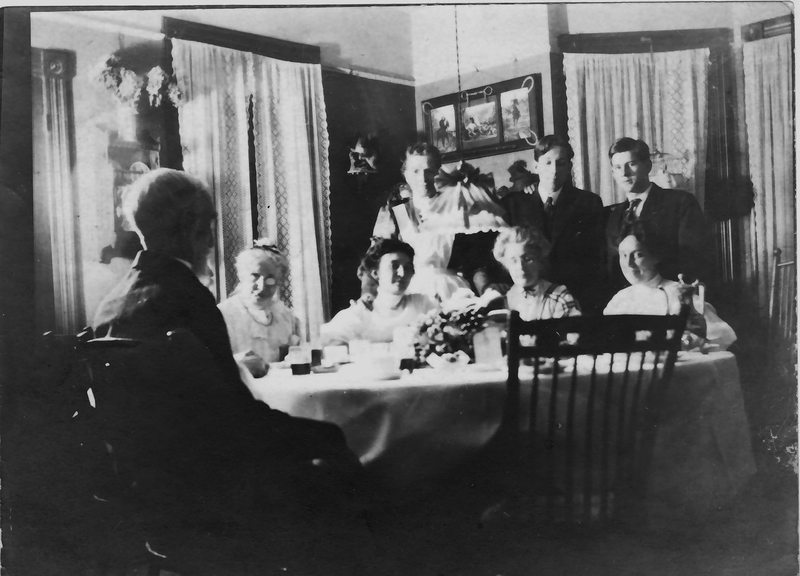 My mother wrote on the back of this photo, identifying most of the individuals, in relation to her, and she dated it "Dining Room, Roselle NJ, 1903-1909". Note that James Grover "Grove" TERWILLIGER and his wife moved to Roselle in the early 1900s. Starting on the left (front), is my 2nd greatgrandfather, James M. TERWILLIGER. He would be 75-80 years old, although he seems rather fragile/older than that, somehow. Next to him behind the table, is his wife, my 2nd greatgrandmother, Harriet F. BUELL Terwilliger, about 70-75 years old. Next, the young woman with dark hair is Vera Stinson, a boarder with the family (as seen on the 1910 Census of Roselle NJ). The older woman behind Vera is not identified on the photo, and I cannot guess her identity or relation to us. Next, sitting at the table, looking down, is my greatgrandmother, Clara Augusta "Gussie" GRAVES Terwilliger, also known as "Madee" (pronounced Maw-dee). She would be in her mid-early 50s here. On the very right, seated at the table is my mother's mother, my grandmother, Marguerite "Daisy" "Peggy" Josephine TERWILLIGER, also known as "Pete" (from nickname of Pepita), whom we called "GrandPete". Here she is about 27 or so. Standing behind is the elder of her two younger brothers, George Walter Terwilliger, aged about 24ish years. And finally, the taller and younger of the two young men, standing directly behind his mother is Harold "Hal" Graves Terwilliger, aged about 18 yrs old. - Marguerite married Charles Edward KUHN in 1910; she died in 1973 aged 93 yrs. - James M. TERWILLIGER died in the fall of 1909, aged 85 yrs..
- Harriet, his wife, died about a year later, aged 82. - Grove died in 1929, aged 73. - Clara, his wife, died in 1955, aged 98 yrs. - Clara's mother, also named Harriet, died in 1929 at the age of 102 yrs. If you have any questions about the people in this photo, I'd be happy to answer them. And if you have any information or corrections, please let me know - I'm always happy to correct my errors! Contact me via calewis at telus dot net, or in the Comments below. Here are the main surnames in my family lines: Gillespie-Bunn-Kuhn-Terwilliger [grandparents], plus the surnames in my ex-husband's lines: Lewis-Aiken-Rice-Vineyard [grandparents]. All ended up in Vancouver BC Canada in early 1900s. Of course, there are so many more surnames - but these are some of the main ones in both sides of my children's tree. Contact me if you wish more information about any of these names via calewis at telus dot net, or in the Comments below. Following the challenge of writing 52 Ancestors in 52 Weeks, issued by Amy Johnson Crow , here is my 30th installment, Jabez HEALY, my ex-husband's 3rd great-grandfather. Jabez (or Jabes) HEALY was the 8th child, 5th boy, of parents Joshua HEALY Jr and Sarah NEWELL; Jabez was b. 29 Sep 1763 in Dudley MA. At the age of 16 years, Jabez served during the Revolutionary War, while living in Massachusetts [Massachusetts Soldiers and Sailors in the War of the Revolution, Vol.7, page 658]. This also states he was 16 years old, 5'6" tall, and had a dark complexion. So young. I wonder how his mother felt about her youngest son heading out to battle at that age. According to one story, he lost a leg in the war, and he became a shoemaker. Click on this link and scroll down the page for more information on the work of a shoemaker in early Vermont. He married Grace BAILEY 28 Nov 1785; her parents were Joshua Bailey & Abigail Clapp, and Grace was b. 7 Feb 1765 in Hanover MA. Jabez and Grace appear to have moved to Shoreham Vermont shortly after they married. I am having difficulty teasing out their children, which surprised me. Apparently there was another Jabez Healy (or two or three) and they seemed to be having similarly-named children. Notes about Jabez [public trees, from a family bible] indicate he had up to 11 children with Grace, and more children with the next 2 wives; I do not have their names. FamilySearch shows a number of Healy family histories I could dig through, as I continue to search other records in both Vermont and New York. The 1800 Census of Shoreham VT shows 8 household members, 6 under 16, 2 over 25 [parents]. My big question is to keep searching for names of those young'uns! Clearly Calvin, the direct line ancestor, had many siblings. By 1805, the family had moved from Vermont to Potsdam, New York. (scroll down for names of early settlers in Potsdam, including Jabes [sic] Healy). Jabez' first wife, Grace, died 3 Jul 1811 in Potsdam. He apparently remarried at least twice more, having more children, but I don't have any details as yet. He remained in the region, moving to nearby Parishville, where he is found on the 1830 Census, living with one of his married children. Jabez died 1 Dec 1838 in Potsdam, New York, and is buried in Grant Cemetery, Potsdam, New York, where his first wife, Grace, is also buried. The cemetery is also known as South Potsdam Cemetery. If you have further information, or questions, on this particular Jabez HEALY, do contact me via calewis at telus dot net, or in the Comments below. I appreciate any corrections or suggestions - this is a work constantly in progress. 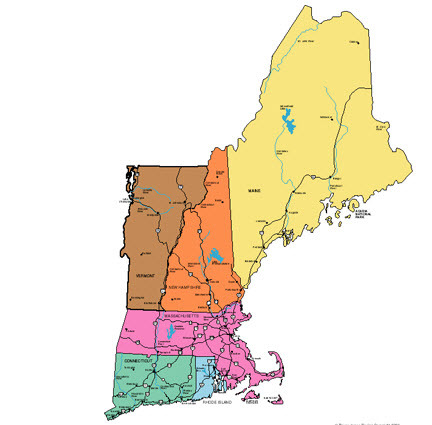 Samuel HUTCHINS was born 20 Aug 1682 in Kittery Maine (date not proven but found online); he was the 5th son of the 8 children of Enoch HUTCHINS & Mary STEVENSON, who married 5 Apr 1667 in Dover, N.H., about 20 miles up the Pascatagua River. All children were listed in Enoch's will, written Jun 7, 1693; deceased May 9, 1698, killed by Indians. Samuel, aged 16 years, received 5 shillings, as did many of the children. 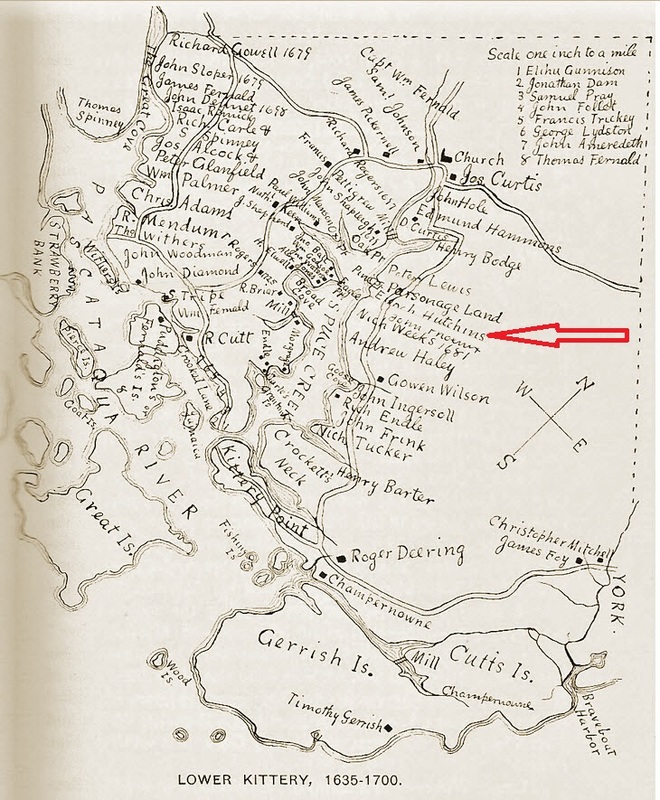 The oldest two sons received a division of the real estate, one plot can be seen on a map of Lower Kittery, 1635-1700. 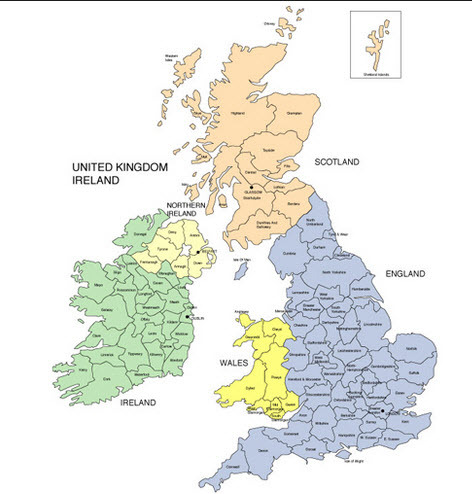 Other family surnames which intermarried with the Hutchins/Hutchings family may be found here as well: Fernald, Pettigrew (Pettygrove), Ball, Hammons. Note that HUTCHINS is sometimes spelled Hutchings. 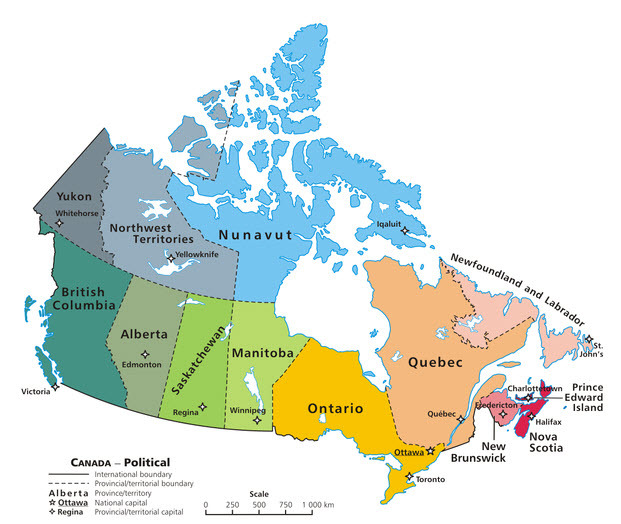 Unfortunately, after his father Enoch was killed, Samuel, his younger brother Jonathan, and his mother Mary, were captured by the same Indians on May 9, 1698 and taken to Canada. [Old Kittery and Her Families, 1903, by Everett S. Stackpole]. I can't imagine how distraught his siblings and other family members must have been at this time. They were returned by the new year, apparently. In 1720, Samuel was made a Field Officer in Kittery, as protection for Indian raids; his house was made into a garrison for this purpose. About 5 years later, he sold his house in Kittery and moved to Salisbury, 30 miles south of Kittery. Later he and Hannah moved to Arundel - before 30 June 1729 [Genealogical Dictionary of Maine & New Hampshire]. Arundel is about 20 miles north of Kittery. Samuel's will was written 20 October 1742, and he likely died shortly afterwards. His will was probated 28 Dec 1742; inventory appraised at £722: 6: 9. - Wife Hannah received house and estate to reside; - Sons Simeon and Levi were given the real estate holdings to share, plus a gun each. - Levi also received his Mare and an equal share with his mother- David received a gun plus 5 shillings. - His daughters received 5 shillings each as well: Mary, Hannah, Lydia; all were married by this time. - As Abigail was not mentioned, it is likely that she had died before this date. - Caleb, Joseph & Samuel received 5 shillings each. If you have further information on this particular Samuel HUTCHINS or his family, I would appreciate learning more. And if you have questions or comments, you can reach me via calewis at telus dot com or in the Comments below. I always appreciate corrections and additions! Thanks for stopping by. 52 ANCESTORS in 52 WEEKS, #28: William BUNN, 1831-? Following the challenge of writing 52 Ancestors in 52 Weeks, issued by Amy Johnson Crow , here is my 28th installment, William BUNN, my 2nd great-grandfather on my father's side. Above you can see the 20 Nov 1854 marriage registration record for William BUNN & Sarah (SMITH) France. There is a marked age difference in this couple, William shown as 23 yrs, Sarah as 34 and widowed. They were married at the Parish Church, St. Andrew, in Netherton, Worcester, by G.S. Trankes, incumbent, witnessed by James Mackay and Mary Maria Block; both bride and groom making their "mark" on the registration form. Aside from the ages of the bride and groom, are more details: William is working as a Miner, his father is James Bunn, Farmer. Sarah's father was Thomas Smith, a miner, (dead before 1854). Both are living at Darby Hand (Darby End), in Netherton. I researched Sarah France further, and found she had married aged 17, to Thomas France, a coal miner who died in the fall of 1851. With both her husband and father dead between 1851-1854, it is possible both men died in mining accidents, but I have not found a list of their names at this point. Sarah and her first husband, Thomas France, had 7 children, the youngest less than a year old when Thomas died. This is quite an undertaking for a young man - to marry an older woman with 7 children. It puzzles me. He likely knew of Thomas and Sarah France through a common mining job. On 26 April 1857, their only child was born, George BUNN, my great-grandfather. Two years later, Sarah's eldest child, Elizabeth, aged about 20, had an illegitimate child, whom she named Thomas, likely after her father. Thomas France was brought up by William & Sarah, and Elizabeth disappeared from the household after the 1861 census when she is listed as unmarried, aged 22, working as a Nail Maker. Possibly she married, leaving her son to be brought up by her mother and step-father. There is a story in my family that the cousins 'knew': George BUNN had been orphaned and brought up by a neighbouring family, the Franze's, and that he mistakenly thought his surname was Franz for some years. Thomas France moved up to Barrow in Furness, Lancashire, to work in the businesses related to a very busy shipbuilding industry, and his step-uncle George BUNN moved his wife and eldest child, Harriet (my grandmother) to Barrow as well, only a year or two later. It is possible that either or both William and Sarah followed them up to Barrow, and possibly died there. More research to do. In Dudley, William worked as a Miner in 1850s, but in 1861 he is listed as a "Furnaceman"; in 1871, as a "Furnace Man (blast)". In 1881, he is listed as a "Scavenger", in 1891, as a Laborer. Here's a link to a photo of men working around a Blast Furnace. I lost track of William and Sarah after the 1891 Census, and am still searching. Hopefully, I will be able to find more details of their lives. Their ages are quite variable on each of the Census forms, and I wonder if they switched birthdays at one point. Do you have more information about William BUNN? William was husband to Sarah SMITH France, father of George BUNN (b.1857), step-father to the France children: Elizabeth & step-grandfather to her son Thomas (b.1859), Emma, Thomas, Jeremiah, Martha, Amelia (Emily), and Esther. I would love to hear from you if you have further details of the family, with sources. Unfortunately, sources are thin on the ground for the early 1800s, and the Bunn surname is a very common one in the Black Midlands. George, William, James - these are also quite common forenames, and it makes it very challenging to be certain one has the 'correct' Bunn! An English contact of mine laughed, telling me that if you threw a rock in Dudley you would likely hit a Bunn! You can contact me via calewis at telus dot net, or in the Comments below. Thanks for visiting!